Chocolate. You already know I’m a bit of a fiend for it. 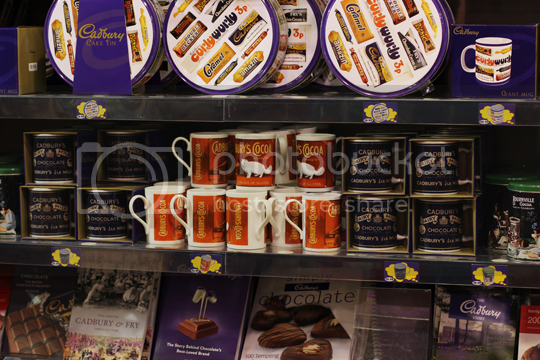 That, and that alone, was the primary reason for the wife and I heading up to Birmingham recently – for a visit to the inimitable Cadbury World. 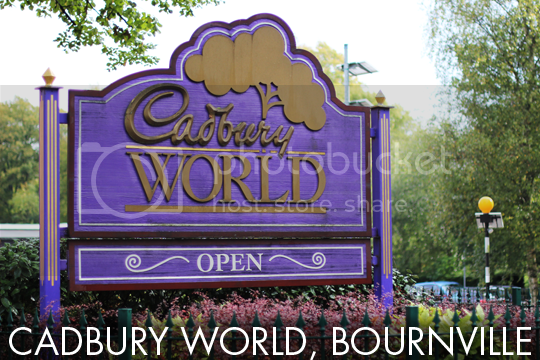 Cadbury World is situated in Bournville Village, just a few stops away from Birmingham New Street on the train. Quite the opposite to the very concrete hustle and bustle of New Street, Bournville is a sleepy, quaint and leafy village which, contrary to popular opinion wasn’t strictly the inspiration for the name of the dark chocolate bar, or vice versa, but it was named by the Cadbury family. The area that was to become Bournville was named after a nearby stream called the Bourn, with the ‘ville’ suffix (French for town) as a nod to the late 19th century fashion for fanciful Parisian names. Still, that’s getting a bit ahead of the beginning of the story. John Cadbury founded his eponymous company in 1824, joined by his brother Benjamin. A small grocer’s on Bull Street, Birmingham, it sold cocoa and drinking chocolate which John prepared himself using a pestle and mortar. 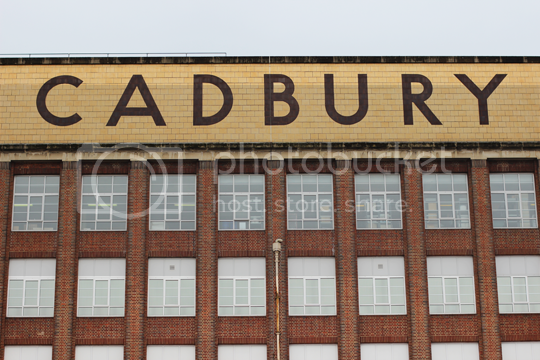 As soon as 1831, Mr Cadbury’s chocolate products had gained such popularity that he needed to start operating on a commercial scale, purchasing a four-storey warehouse in nearby Crooked Lane. By 1847, they had scaled up to an even bigger factory in central Birmingham’s Bridge Street. John’s health sadly declined, and in 1861 he officially retired and handed over full control of the business to his two sons, Richard and George, aged just 25 and 21 at the time (bless them). It is with these two that the Cadbury we know and love today started to develop. The heirs did not agree with the notion that industrial areas should be grimy, cramped, squalid, and depressing, so they sought to change that and developed an impressive vision for a model village in the countryside (that’s model village as in self-contained community created by industrialists to house their workers, not as in a miniature town). “No man ought to be condemned to live in a place where a rose cannot grow”, said George, and in 1879 the first bricks of Bournville were laid. Over the years they introduced churches, schools, doctors and hospitals, and truly did create the industrial haven they’d envisioned. The Cadbury brand not only pioneered in operating from the countryside, but also in benefits for their workers who, in addition to their dedicated amenities, were handsomely paid and among the first to be able to take advantage of pensions. In 1905, Cadbury launched its famous Dairy Milk bar – a product of exceptional quality for its time and, indeed, the first time a British company had been able to mass-produce milk chocolate. 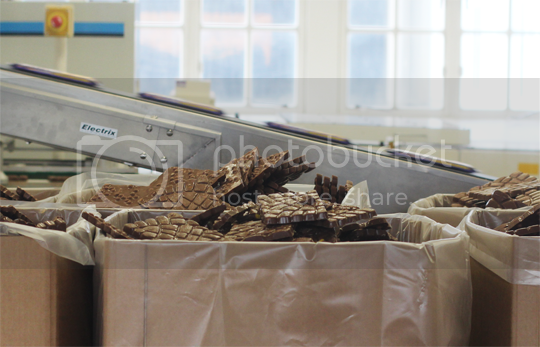 Dairy Milk was quickly followed by the stronger, darker Bournville cocoa range (so technically speaking, it was named after the village – but the village was created and named by the company. Chicken and the egg!). From there on in, Cadbury have gone from strength to strength – 1920 was a pretty pivotal year, with the instantly recognisable ‘Cadbury purple’ coloured packaging for Dairy Milk and the launch of Flake, which was dreamed up by a Cadbury employee who was fascinated by the flaky, folded ribbons of chocolate which fell in excess from drained chocolate moulds. The scripted font of the Cadbury logo came first came about in 1921, followed by the ‘glass and a half’ symbol depicting Cadbury’s superior milk content in 1928, both of which are still seen today. I could continue to bore you with various launch dates for my favourite current and bygone Cadbury products, but this is already turning into an essay on the history of chocolate so let’s instead move onto Cadbury World itself. 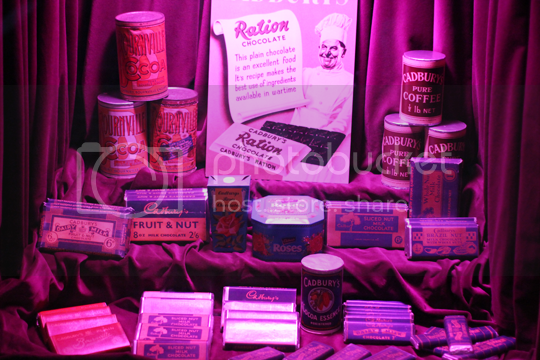 Cadbury World opened its doors as a visitor attraction in August 1990 – a full year before I was even born! – costing £6 million to build and attracting 350,000 visitors in its first year, far surpassing expected numbers. My parents (I get my chocoholic tendencies genetically, I swear) visited Cadbury world in the late 90s, leaving behind two very sullen daughters who for many years remained furious at not having been allowed to join the fun. Finally, in 2014, I have realised my sweet chocolatey dreams (although my sister has not!) and stepped foot into the cave of wonders. 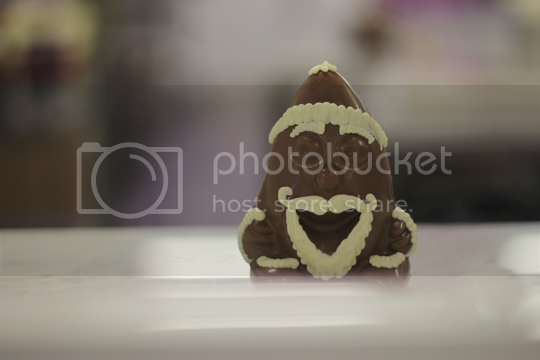 Cadbury World is a self-guided tour which takes about an hour and a half, encapsulating chocolate history from the days of the Aztecs all the way up to Cadbury as we know and love it today. 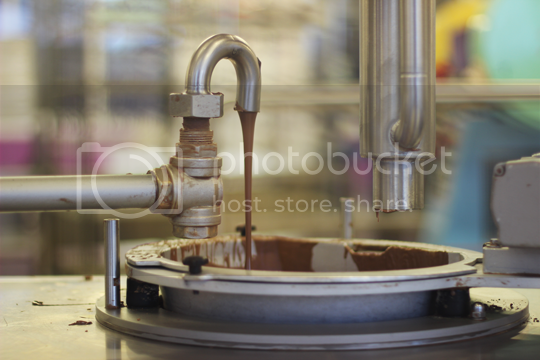 While the bulk of production takes place out of sight, there are more than a few glimpses into life working in a chocolate factory which seems like an absolute dream, although I imagine you’d get sick of the sight of chocolate fairly quickly. The most tantalising smell wafts through the halls, and fortunately you are handed free chocolate bars at regular intervals on your visit to keep the cravings satisfied. 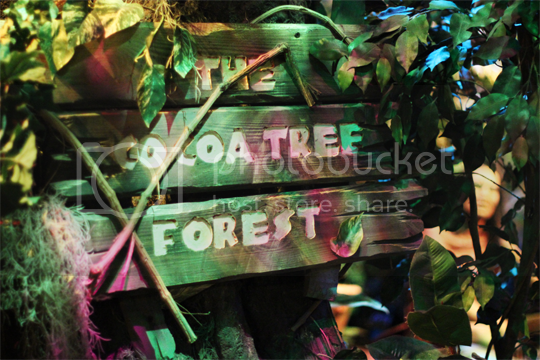 My personal highlight was the 4D Chocolate Experience, but there’ll be no spoilers here. 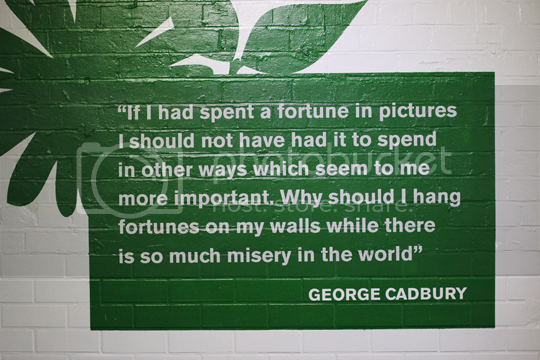 You really must visit Cadbury World and experience it all for yourself! 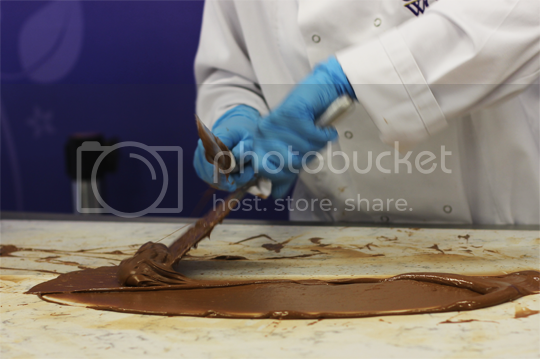 You can buy tickets to visit Cadbury World online, although I’d highly recommend planning a visit on a Thursday to take advantage of their Purple Thursdays offer, where you can get two adult tickets for the price of one. 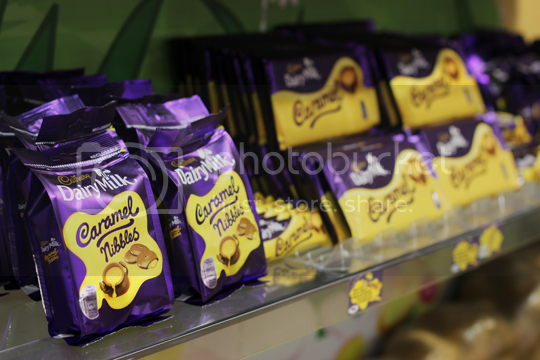 Have you been to Cadbury World before? Would you like to? Or are you more of a Galaxy kinda person?